Sit back on relax on this Hans Wegner-style chair with matching ottoman. 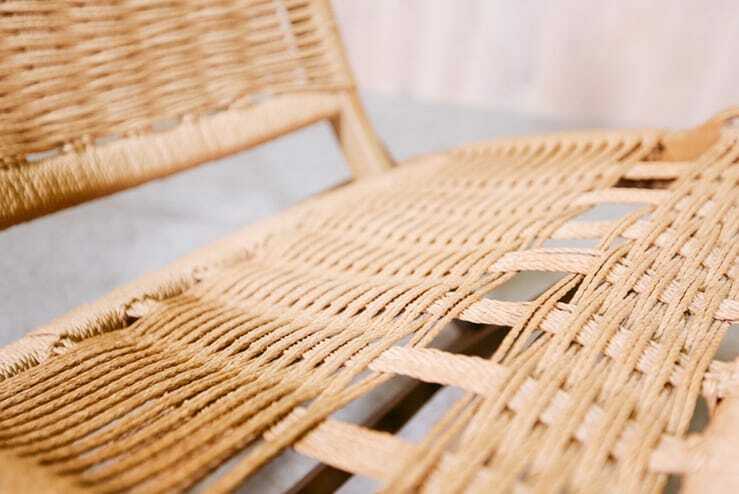 Woven rope backrest and seat. 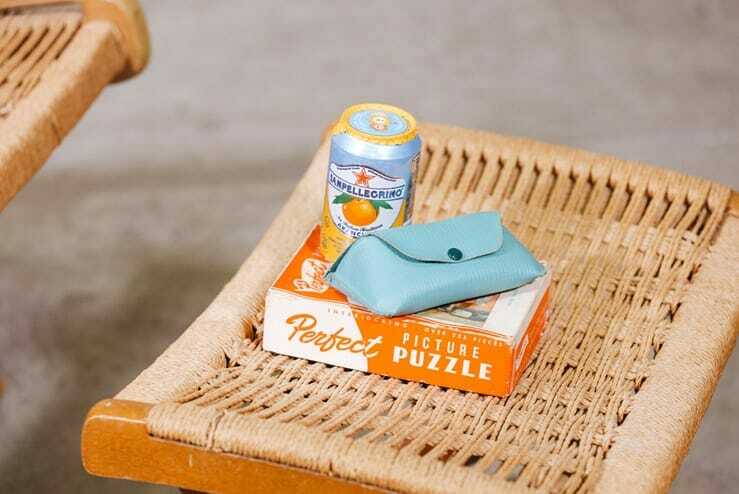 Both pieces fold up, so you can easily stow them away. Slight signs of age on the wooden frame, but overall in great condition. 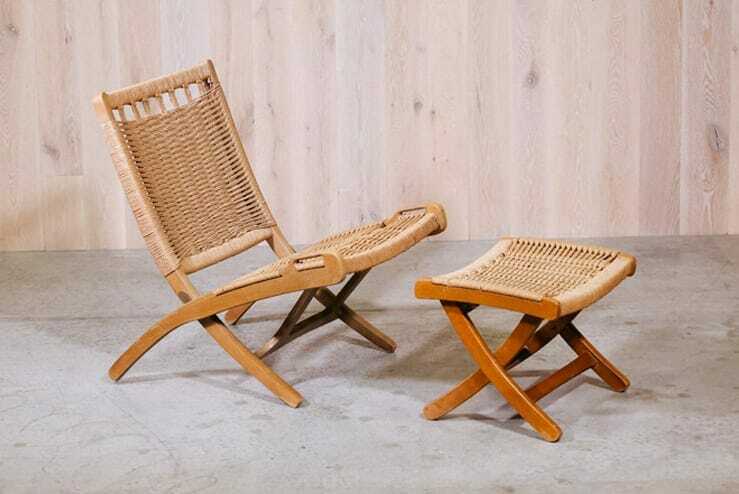 Hans Wegner was one of the most prolific Mid-century Modern Danish designers. He’s best known for his chairs which feature subtle curvilinear lines and natural materials. Wegner apprenticed as a cabinetmaker and his extensive knowledge of joinery shows in his impeccably crafted pieces. He received numerous awards throughout his career and his work can be found in major museums throughout the world.